This was simply done by cooking the potatoes and chicken so that the chicken came out 10 mins before the potatoes so that you can cut down the chicken into nice sized chunks, then in a pan on a medium heat you heat the curry sauce up and put the chicken into the sauce stirring well so that all the chicken is nicely covered in the thin sauce. 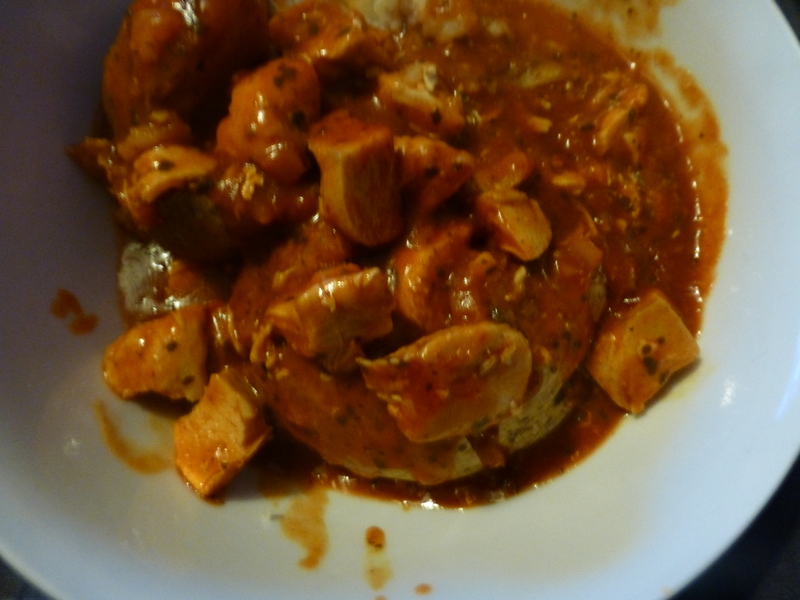 Then when the sauce is nice and hot and the potatoes are cooked to your liking put 2 potatoes in a bowl and cut open the potatoes and put the sauce and chicken over it and enjoy. 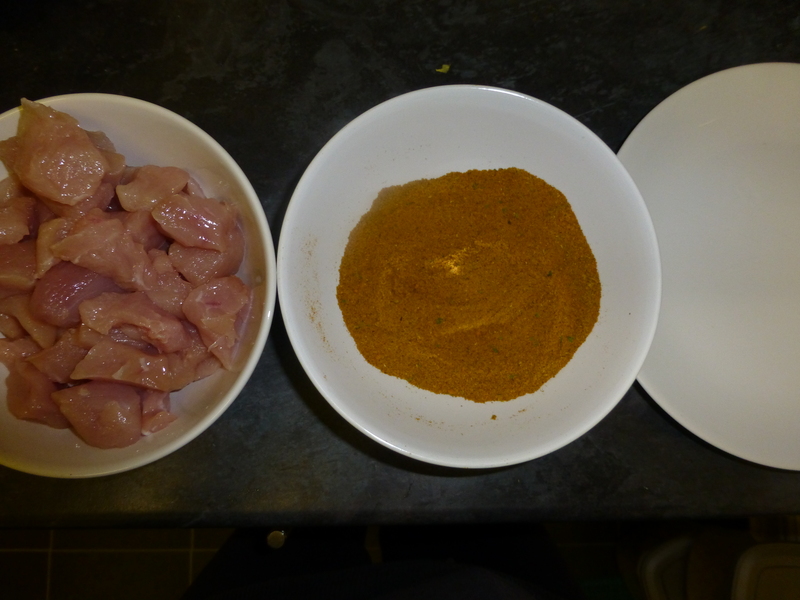 You start off with 2 bowls and a plate, 1 pack of tikka powder (or any curry powder) and a pack of turkey breast chunks/slices or chicken breast cut down to around 1 inch square. 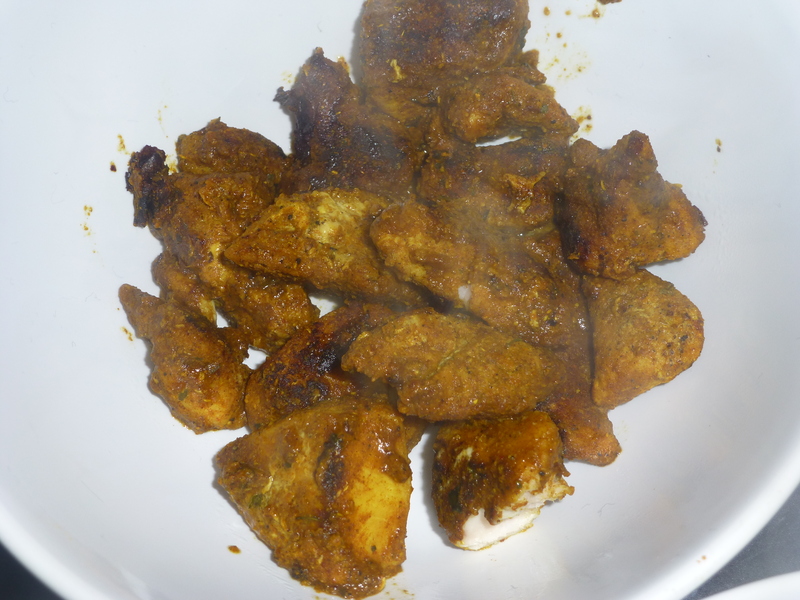 Then in the first bowl you put your cut up meat and in the second you put the tikka powder (not the whole packet but around a quarter as not to waste any. Then taking one piece at a time you roll the meat in the powder making sure that it is liberally covered, then put it on the plate repeating the process until all the meat is covered. Then in a hot frying pan add some oil and gently fry the meat until its cooked all the way through I add a little cold water half way through to help the meat not stick to the pan, when cooking the meat add only enough pieces to not overlap the meat in the pan enabling you to turn over the meat half way through to make sure its not going to burn on the underside. 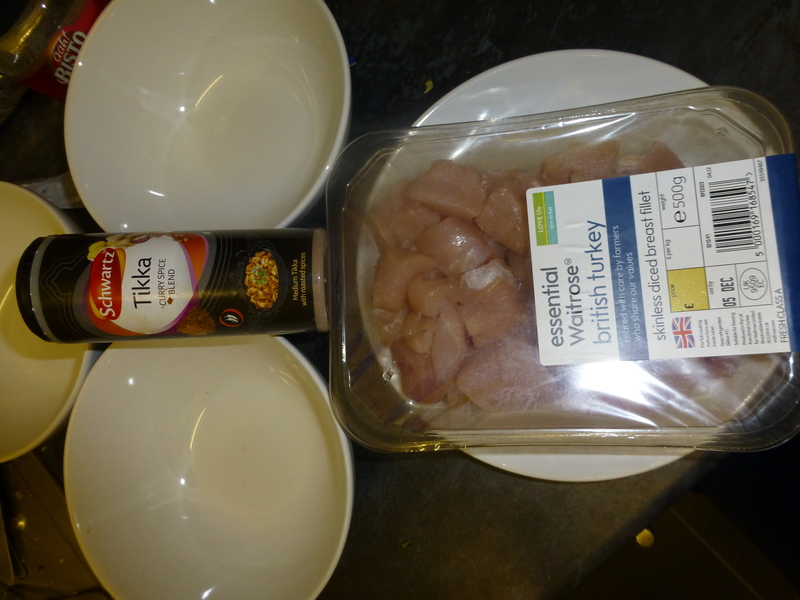 once done put in a clean bowl and repeat the process until all the meat has been cooked. Then enjoy wrapped in a tortilla wrap or just as it is as an alternative to chicken nuggets. 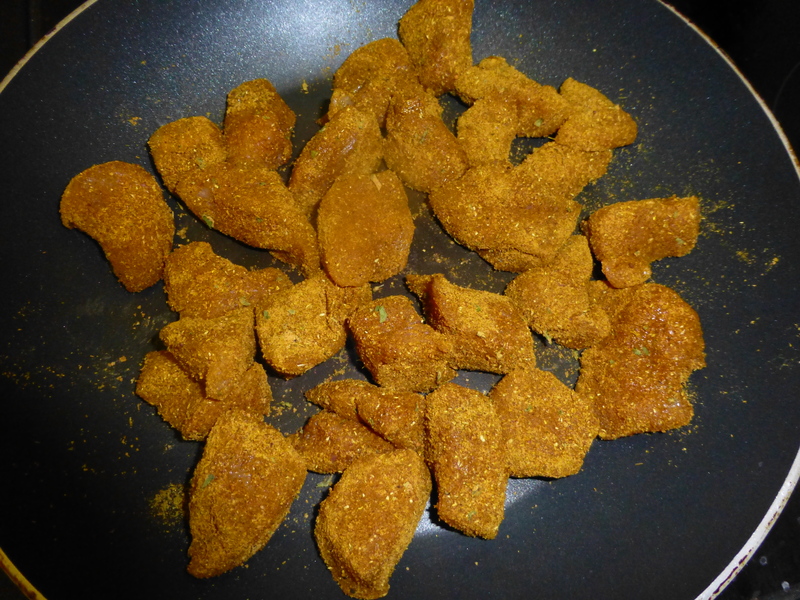 This is one of my favourite things to cook as it makes the kitchen smell of curry and its just very enjoyable to nibble, if you cook enough these and serve with soft tortilla wraps then they make a fantastic dinner time meal.